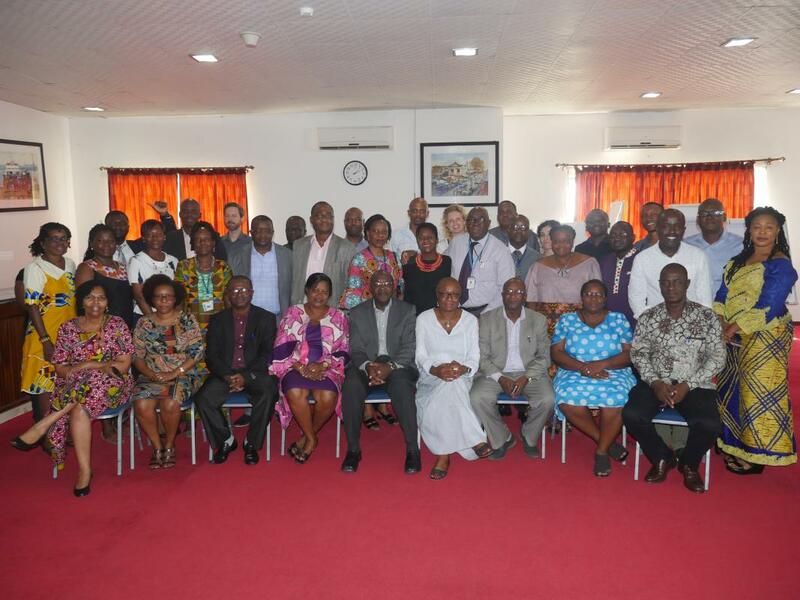 Towards the end of every year, the senior managements, and technical officers of the WHO Country Office in Sierra Leone and the senior leadership of the Ministry of Health and Sanitation meet to review progress and challenges of their work and agree on priority areas of work for the following year. The review meeting this year discussed progress on a range of operational and technical activities including, administrative, financial and technical performances as well as the quality of management and leadership and collaboration between the two partner institutions. The engagement also aimed to ensure continued and strengthened cooperation and improve collaboration. “Evaluating the progress we have made and the common challenges that we encountered together over the past year as WHO and the Ministry of Health and Sanitation is fundamental for our work and a critical factor in the planning and implementation of interventions for improved quality of health services in Sierra Leone”, says Alexander Chimbaru, Officer in Charge of the WHO Country Office in Sierra Leone. the yearly review meeting is also part of the continued effort to sustain the improved relationship and to foster better understanding of the work of the Organization as it enhances reorientation of the government counterparts on some of the new and critical WHO global, regional agenda, administrative procedures and processes to enhance transparency and accountability in resource management, prioritization and coordination for better outcome of the Organization’s support. On the other hand, the platform also discusses the government’s set health priorities, targets, roles and the required support to ensure that the WHO team is fully au fait with the government’s health agenda, thus allowing the two teams align their work and strengthen collaboration. “We see this interface as strength of the team work between us as a Ministry and our WHO colleagues because when we plan together we will deliver as one,” says Dr Santigie Sesay, Director of Noncommunicable diseases, while speaking on behalf of the Chief Medical Officer of the Ministry of Health and Sanitation.